Born on 15 April 1924 in Lincoln, Sir Neville Marriner studied at the Royal College of Music and the Paris Conservatoire. He began his career as a violinist, playing first in a string quartet and trio, then in the London Symphony Orchestra. It was during this period that he founded the Academy, with the aim of forming a top-class chamber ensemble from London’s finest players. Beginning as a group of friends who gathered to rehearse in Sir Neville’s front room, the Academy gave its first performance in its namesake church in 1959. The Academy now enjoys one of the largest discographies of any chamber orchestra worldwide, and its partnership with Sir Neville Marriner is the most recorded of any orchestra and conductor. Honoured three times for his services to music in this country – most recently being made a Companion of Honour by Her Majesty The Queen in June 2015 – Sir Neville Marriner has also been awarded honours in France, Germany and Sweden. 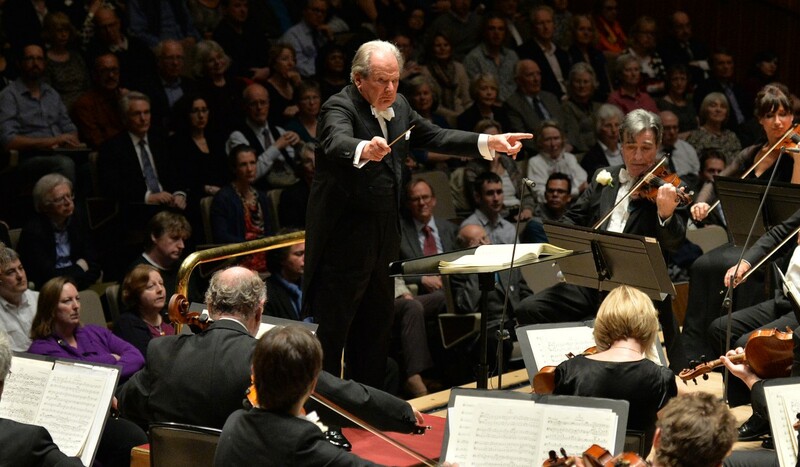 As a player, Sir Neville Marriner had observed some of the greatest conductors at close quarters. He worked as an extra under Toscanini and Furtwängler, with Joseph Krips, George Szell, Stokowski and mentor Pierre Monteux. Sir Neville began his conducting career in 1969, after his studies in America with Maestro Monteux. There he founded the Los Angeles Chamber Orchestra, at the same time as developing and extending the size and repertoire of the Academy. In 1979 he became Music Director and Principal Conductor of both the Minnesota Orchestra and the Südwest Deutsche Radio Orchestra in Stuttgart, positions he held until the late 1980s. Subsequently he has continued to work with orchestras round the globe in Vienna, Berlin, Paris, Milan, Athens, New York, Boston, San Francisco and Tokyo. In 2011 Sir Neville was appointed Honorary Conductor of the newly formed I, Culture Orchestra which brings together the most talented young musicians from Eastern Europe. Sir Neville was Music Director of the Academy from its formation in 1958 to 2011 when he became Life President and handed the baton of Music Director to violinist Joshua Bell. Sir Neville Marriner passed away peacefully in the night on 2 October 2016. The Marriner family have been very touched by all the messages of sympathy from people reminding them how much fun it was to be with Neville. You can read messages of condolence and memories of Sir Neville Marriner in our condolence book. The Academy is accepting donations in Sir Neville’s memory to be directed towards the creation of a Marriner family charitable initiative, more details of which will be announced in 2018. Please click here if you would like to make a donation to the Sir Neville Marriner Charitable Fund.